Harmonious in its shape and material, the Trinity Centrepiece is inspired by the shapes of sea creatures – namely, the nautilus mollusc. You can see the way the centrepiece mimics the natural shell of the creature almost instantly, thanks to the clever design wrought by Aussie Adam Cornish. Its geometric form also creates virtual movement, allowing the eye to wander along a spiral. 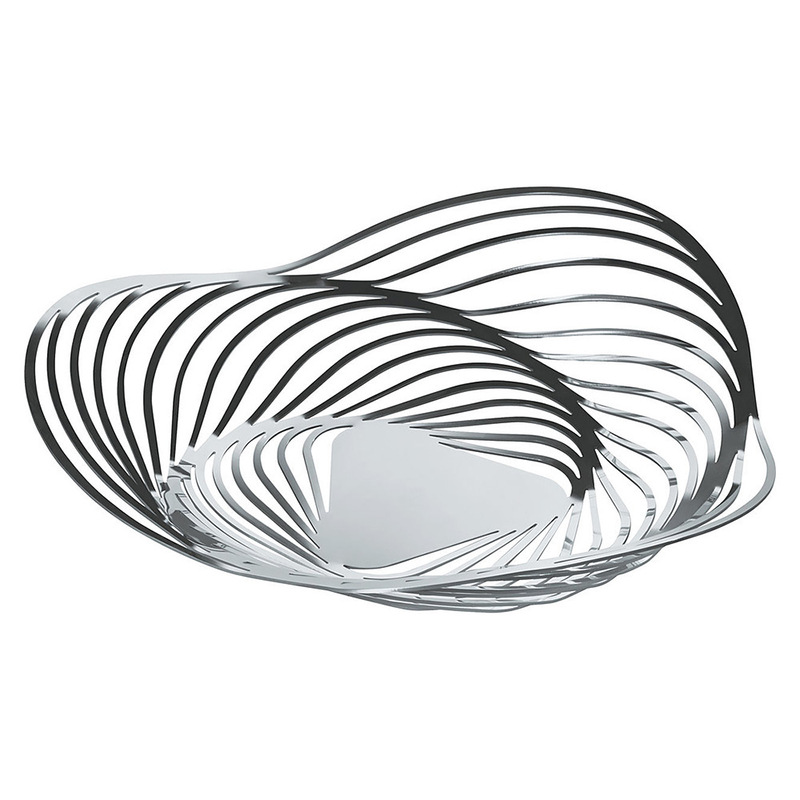 Brilliantly polished to a reflective state, this centrepiece will make a curious yet also tremendous addition to your home. 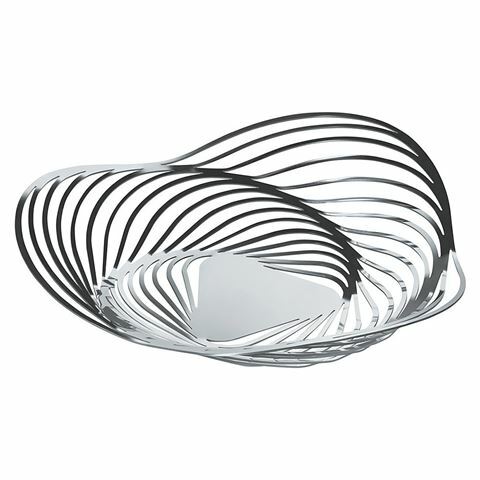 Designed in Australia by Adam Cornish for Alessi in Italy. Made from mirror polished stainless steel. Dimensions: 26.5cm (w) x 6cm (h).